There are some things you can’t plan for at a family portrait. 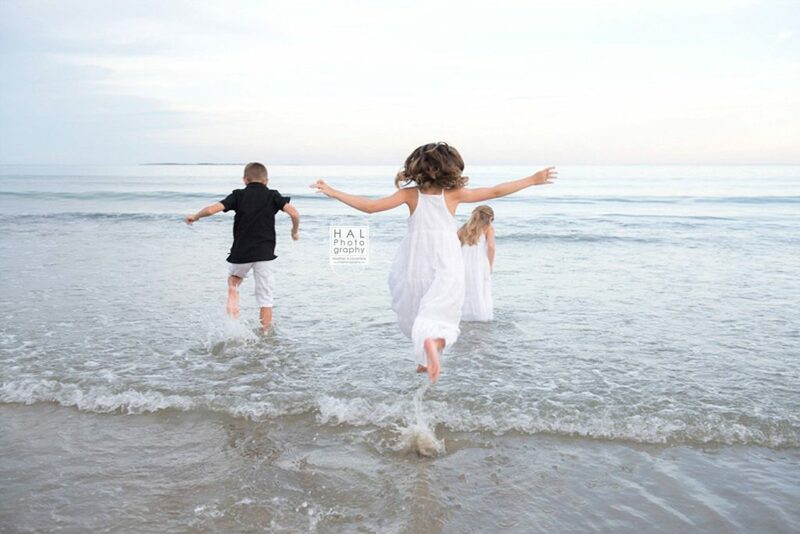 The colors of the sunset sky, the excitement of cousins running into the ocean together, and how much air they can get while jumping into the water! ;) There are so many reasons why being a photographer is more than knowing the camera settings and poses, it’s a constant path of new discoveries and experiences. While the same location can look similar on the outside, the ever-changing colors of the trees, the sun and clouds lighting up the sky, and of course, the energy, emotion, and unique personality brought by each individual into the frame makes every HAL Photography photoshoot one-of-a-kind. Each time I drive to meet a family I remember how much I discover from every single session. Every family, every adorable kid, and even the occasional not-so-happy little ones that may be ready for a nap (ha!) bring their own flavor of awesomeness to the table. There are and will always be something new to learn and discover. No two families are the same, you are all different in many ways. And that’s what I love, seriously love, about being a photographer. Each group I meet or capture again and again brings a whole new exciting energy to their surroundings! You keep me on my toes, encourage me to never stop discovering, and more importantly, remind me to always be thankful I can be surrounded by such great people in the most beautiful places.